We recognize the importance of support from the family of our patients while they are hospitalized. We also need to balance the visits and phone calls with the necessary Emergency Room operations and the provisions of nursing care to our many patients. To manage this, CVESC has established the following hours and conditions. You can expect a daily phone call update from your hospitalized pet’s doctor. If you are calling for an update, please be advised that nurse technicians may not be available from 7-9am and from 7-9pm due to shift changes and rounds. Please avoid calling and visiting during these times. Visiting hours are 10am-10pm, Monday-Friday. Visits may be limited between 7:00pm-8:30pm, due to the staff shift change. Due to high client volume, weekend and holiday visits are by arrangement only. Visits may be limited and there could be a significant wait. As a courtesy, please call to arrange an appointment prior to visiting. Due to the busy nature of an emergency facility, we cannot guarantee that there will be staff or a room available to allow for a visit. Visits will be limited to 15-20 minutes up to twice per day. Children under 14 years of age are not permitted in the treatment or ICU areas. Visitors are asked to refrain from touching any other patients. Due to privacy concerns, you will only have access to your pet and information about your pet. 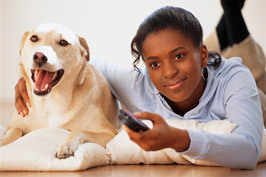 We understand that your pet is an important part of your family. We also understand what a stressful time this is and appreciate the trust and confidence that you are placing in our staff. The above regulations help insure that all hospitalized patients receive the uncompromised attention and care that each patient deserves.